Must I Disclose my Suspended Criminal Record to an Employer or to a Foreign Country? Must I Disclose my Suspended Criminal Record? Must I disclose my Pardon or Record Suspension? Most employment applications ask “Do you have a criminal record for which you have not been pardoned (or received a Record Suspension)”. In these cases, once pardoned or suspended, you can truthfully answer “no”. However, in some employment situations, an employer will demand that you disclose a pardoned or suspended record (primarily jobs involving vulnerable people and high security). A Pardon or Record Suspension is not perfect. It helps in many, but not all, situations. Most employers do not ask individuals to disclose a pardoned or suspended record unless related to a position involving the vulnerable sector. You might think that having a Record Suspension or Pardon gives you the right to deny having had a criminal record, meaning it is “not really a lie”. Companies under the jurisdiction of the Federal Government (i.e. 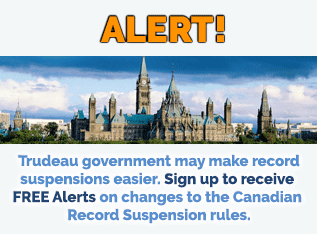 Federal Government employment) will NOT normally ask you to disclose a pardoned or suspended record UNLESS you are applying for a job in the vulnerable sector (ie. with children, sick or elderly). However, companies not under the jurisdiction of the Federal Government (i.e. private or public company that is not a government office) still have the right to ask you to disclose a pardoned or suspended record. FORTUNATELY, many non-government offices also do not request the disclosure of pardoned or suspended records, unless they work with the vulnerable sector. 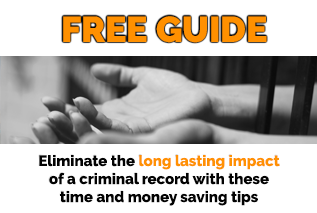 As a result, having a pardoned or suspended record helps in many cases–but not in every case. Must I Disclose a Suspended File to a Foreign Country? When it comes to disclosing information to foreign countries, it is absolutely imperative that you are forthcoming. Lying to a government official can result in fines and even jail time! Some companies will advise not to disclose a pardoned or suspended file to a foreign country. They are counselling misrepresentation and can get themselves and you into trouble. You have a criminal record (pardoned or suspended). It is (or should be) your goal to put it behind you for good—misrepresentation does not accomplish this. If you are inadmissible to the United States, the proper and legal thing to do is to apply for a Waiver for legal entry. Not ALL convictions render you inadmissible to the United States. For your free consultation, please contact us.